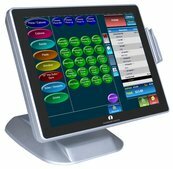 Briefly describe your business type, number of desired POS systems, and desired installation date, if applicable. Enter N/A if not applicable or enter "Live Webinar" to be put on guest list. We can be reached at 1-888-834-2561 Ext.101 8am-8pm (Pacific Time), or email: info@freepospros.com . You can also use the Free POS Pros Info Request form above for a rapid reply. Frequently asked questions (FAQs) provided to you upon request, via email. We are the only office/distributor offering you a $100+ up to $300 Visa Gift Card per Free POS System you place at your businesses, with no limit and no expiration. More $$ for larger merchants or franchisees. Call or complete the request form today! We can: 1) complete your 20 minute application via a secure online portal with you on the phone; 2) we can email you all paperwork with instructions, which you complete at your convenience and then fax in to corporate office; or 3) complete your application over the phone with you and then fax to you for your review and signatures. You decide and call or email us when you are ready. We have been selling POS since 1997 and will be here with our Free POS programs for many more years to come. So, no matter where you are located, we can have your POS system to you within 2-3 weeks of application approval (1-2 days). Some of our merchants were installed within 5 days, others require more time for menu planning, inventory, approval of the configuration by merchant, etc... , so we use 2-3 weeks as an average installation time after application. If you need a rush order (two weeks or less), or need to order for a later date, please let us know. We work for you and over 150,000 other merchants, and are growing by 800 POS Systems per month! Thank you.